Prof Crick Lund, Director of the Alan J Flisher Centre for Public Mental Health and PRIME CEO, has received the prestigious TW Kambule Award from the National Science and Technology Forum (NSTF). In partnership with South32, the annual NSTF awards (also known as South Africa’s “Science Oscars”) recognise outstanding contributions to science, engineering and technology (SET) and innovation by researchers and other SET-related professionals. The TW Kambule-NSTF Award celebrates outstanding contribution to SET and innovation by an individual over a period of up to 15 years after the award of a PhD or equivalent, predominantly in South Africa. 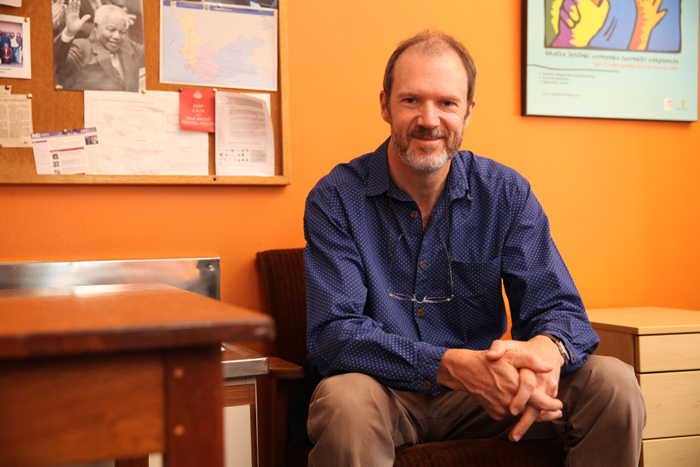 Professor Lund’s research has pioneered the development of mental health policies and services to address the growing burden of mental illness in South Africa and other low and middle-income countries (LMIC). His scientific work has had a significant impact on the development of norms for mental health services, drafting of national mental health policies, development of WHO guidelines for mental health policy and services, identification of major social determinants of mental illness in LMIC, interventions that address the cycle of poverty and mental illness, and delivery and evaluation of new models of mental health care. "I feel deeply honoured by this award. Research is a team game, so I am receiving the NSTF award on behalf of the wonderful team that I work with - including colleagues at the University of Cape Town (UCT) and our fantastic national and international partners. Mental health is a global health and development issue that is receiving increasing public policy attention, and I hope this award can create greater awareness of this issue," says Prof Lund. Prof Lund received his award during the 2015/2016 NSTF-South32 Awards Gala Dinner at Emperor’s Palace in Pretoria.